This week’s wrap-up of repeated claims includes several we heard during the parties’ national conventions. Follow the links to our original articles for more information on each claim. Actually, since President Barack Obama took office seven-and-a-half years ago, the U.S. has gained 10.1 million jobs. Clinton gets her number by starting the count in February 2010, the low point of employment during the Great Recession, and only counting private-sector jobs, which went up by 14.8 million (overall employment has gone up by 14.4 million since February 2010). In her convention speech, Clinton stipulated that she was speaking of private-sector jobs, but didn’t reveal her time frame. That was accurate for 2009 to 2013, based on the economic analysis of Emmanuel Saez of the University of California, Berkeley, but not anymore. Saez’s most recent data show that the top 1 percent of families captured 52 percent of the income growth from 2009 to 2015. That’s also the case for 1993-2015. We can’t predict the future, but the nonpartisan Committee for a Responsible Federal Budget found that Clinton doesn’t quite get there with what she has proposed so far. CRFB said her proposals would increase the debt by $250 billion over 10 years. “For Clinton, this small increase in debt relative to current law is the result of spending increases that are largely but not entirely paid for by revenue increases,” the CRFB report says. Vladimir Putin didn’t call Trump a “genius,” and the Russian presidential himself said so in June. Putin said he had only described Trump as “flamboyant.” Putin’s original comment, made in December, had been interpreted as calling Trump “colorful” or “bright,” according to Russian language experts we consulted. Putin also didn’t say in those comments that Trump was “going to win,” as Trump told ABC News. Instead, he said, “he is absolutely the leader in the presidential race,” according to the translation by Russia Insider. Trump has continued to inflate the trade deficit with China. It was $367 billion for 2015, not $500 billion. In fact, the total U.S. trade deficit — $531.5 billion — is closer to Trump’s number. 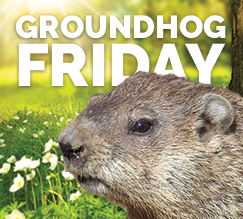 This is now the fourth time we’ve included this false claim in a Groundhog Friday report. Trump exaggerates. He did fund a large portion of his primary campaign — roughly 73 percent, according to records from the Federal Election Commission as of May 31. Trump’s financing totaled $46 million at that point, with $17.1 million coming from individual donors. A month later, as of June 30, his self-financing was nearly $50 million, constituting 56 percent of his total campaign funding. Individual contributions totaled $36.8 million or 41 percent of the funding. Throughout the primary, Trump exaggerated the extent of his self-financing many times. Gen. Allen repeated a false claim first made by Vice President Joe Biden in late July. It was Sen. Ted Cruz, not Trump, who said that the U.S. should use carpet-bombing as a strategy against the Islamic State terrorist group, or ISIL.